On Tuesday, Vogue Runway released stats for its most-viewed shows of 2018. Perhaps unsurprisingly, fashion heavy-hitters Chanel, Balenciaga, and Gucci took the top spots, earning over 10 million views each, but big-name designers making their debuts at established houses also succeeded at bringing in the clicks. One of the most popular shows of the year was Celine Spring 2019, which racked up almost nine million page views. It was Hedi Slimane’s first collection for the brand, so it should come as no surprise that it was a viral hit. After all, there was considerable anticipation ahead of the show. For one, it was the designer’s first gig since leaving Saint Laurent Paris in 2016. For another, his appointment came with controversy — especially after he altered the logo, removing the accented “é” from the name. Naturally, everyone was interested in seeing what other changes were to come. 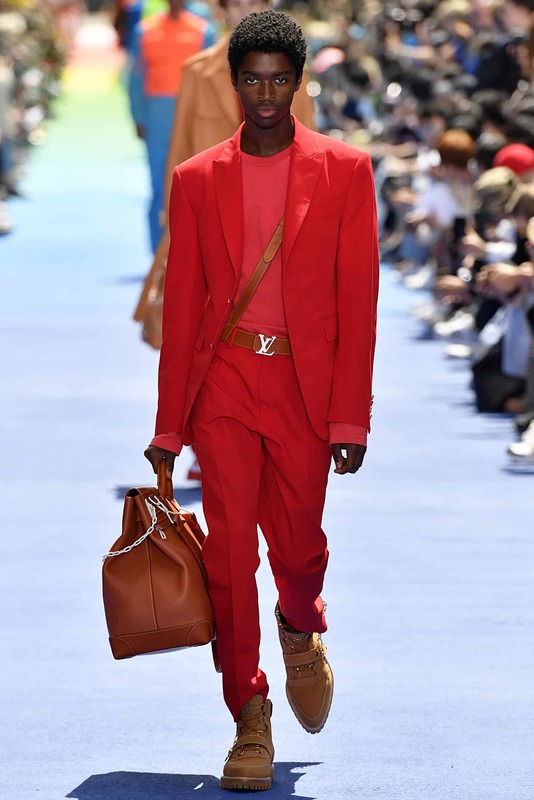 Other top shows included Burberry Spring 2019 (8,728,926 page views), and Louis Vuitton Menswear Spring 2019 (6,525,741), which saw the arrivals of Riccardo Tisci and Virgil Abloh, respectively. Tisci, like Slimane, was an established designer coming off a high-profile job (Givenchy), and also generated hype by rebranding the label and altering its iconic logo. Abloh, meanwhile, is among one of the buzziest rising designers in the industry. His appointment to Vuitton was seen as move by the brand to tap into a younger audience. It was also a historic hire as he is Vuitton’s first ever African American creative director. Clearly people were eager to see what these marquee names would do at the luxury labels, which the brands were no doubt betting would be the case when they made the hires in the first place. Appointments like Alessandro Michele at Gucci — he had long worked for the house behind the scenes before being named creative director — are rarely met with such fanfare. But, of course, big names don’t guarantee big sales — just look at the recent drama at Calvin Klein, not to mention Burberry’s recent stock price drop. While 2018 proved star names could attract eyeballs, 2019 will prove if they actually excite consumers.